As a Food & Beverage Retailer, you are dealing with a wide range of clientele in your industry. You want to keep your business clients coming back by expediting their orders with efficiency and in a timely manner. As a supplier to their bustling restaurant, C-store and other food & beverage retail businesses, you want to ensure you are delivering the best in quality, service and reliability. You also need to have all the tools to track inventory and restock shelves as required to maintain stock availability for your customers. HOW CAN ONEIR SOLUTIONS HELP MY FOOD & BEVERAGE RETIAL BUSINESS? You need to have tight control on all these aspects in order to maintain the efficiency of your wholesale distribution business and ensure your success in the challenging business to business market. Even your “on-the-road” sales reps can have immediate access when making remote sales! “Order Guide” ensures your staff never forgets an item a customer may need to re-order. With Oneir Solutions, you will have a handle on what stock is not moving and what items need to be in your warehouse at all times to keep your customers coming back! Track items purchased by each customer and the specifications of these items, such as batch, expiry date, etc. 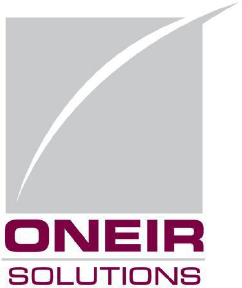 and is expanding into more locations, Oneir Solutions is designed to make your dreams reality.